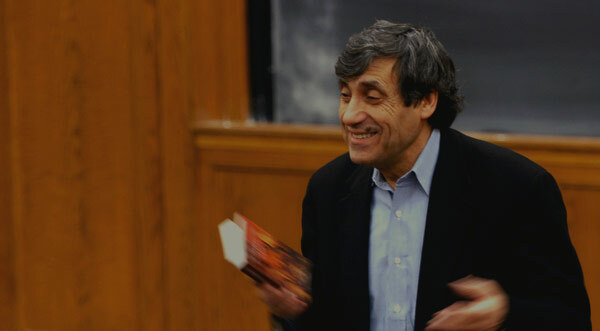 Professor Mazzotta introduces students to the general scheme and scope of the Divine Comedy and to the life of its author. Various genres to which the poem belongs (romance, epic, vision) are indicated, and special attention is given to its place within the encyclopedic tradition. The poem is then situated historically through an overview of Dante’s early poetic and political careers and the circumstances that led to his exile. Professor Mazzotta concludes by discussing the central role Dante’s exile was to play in his poetic project. Professor Giuseppe Mazzotta: I’m going to give a short class, what is known a short class, they call it — it’s an old idea. They used to call it lectio brevis, short class. I just want to give you a little introduction to what the course will be like and an introduction also about the context of — within which Dante thrives, Dante grows, and writes this poem of his. A poem, that as you know, is called the Divine Comedy. It’s not really the title Dante gives to the poem. Dante called the poem simply “comedy.” “Divine” is the adjective, the epithet that the readers in — through centuries have assigned to it, to indicate both what struck them as this sublime quality of this text, and also the content. It deals, after all, the fundamental theme of the poem is the encounter of a pilgrim, an ordinary man, who you’ll see, lived in the thirteenth century or the fourteenth century and who imagines this journey to God. So it’s divine also because of this particular content. It’s the — it’s a journey, it’s a quest from nothing less than seeing God face to face and come back to talk about it. Not just seeing God and be overwhelmed by it and dazzled by it, as probably is the — what do we know and it’s most of the — the tradition of visionary literature, this is really about writing the poem about this fundamental experience. So we’ll be reading this poem, and if I had to give you something of a genre — it’s very difficult to speak of genres. Is it an epic? Is it an autobiography? Is it a romance? I think it’s all of the things above. It’s all of these things and probably the best way to talk about it is that it is an encyclopedia. What does the word mean? The word means a circle of knowledge. It’s an old classical idea, it was made — I could tell you it was made available in times — in — by an architect by the name of Vitruvius wrote actually and talked about encyclopedia. It really means this, as I said, the circle of knowledge, in the sense that to know you have to have a point of departure. And that the point of departure will take you along all the various disciplines of the so-called liberal arts, and then they take you right back to where you started. The beginning and the end in a liberal education will have to coincide. You are going to find out things that now you will see with a different view, from a different standpoint, a different perspective. Dante writes an encyclopedia, which also means an ordering of the tradition of exactly the so-called liberal arts. What are the liberal arts? Why are they called liberal? They are called liberal to distinguish them from the so-called mechanical arts. This is an old medieval distinction and they’re called liberal also because the aim of these arts is to free us. It’s as if knowledge has in itself the power to give us some kind of freedom. Free us from all sorts of — various sorts of tyranny. The tyranny of action, above all, the tyranny of having to do things with your hands that will distract you from the great aims and great aims are theory, contemplation, and thinking. The liberal arts, what are these liberal arts? The liberal arts are so called the arts of words; they distinguish them between arts of words, and arts of number. The arts of words are the grammar, fundamental, which encompasses also poetry and history. They are — they are dialectics and rhetoric. Rhetoric, the art of persuasion; dialectics being the art of deciding what the truth of a statement may be. It’s really the most difficult of these arts. Then there are the arts of numbers. The arts of numbers are arithmetic, geometry, music; it’s based on rhythm, on number, and then astronomy. The aim of these liberal arts would be ethics; it would be also theology, metaphysics and then theology. This is the way the Divine Comedy is actually structured as I’m going to show you as we’re going to read this — the poem. The implication of calling the Divine Comedy an encyclopedia is that clearly it deals with education. You cannot have an encyclopedia — you do have the Encyclopedia Britannica which gives you all the possible interesting, important items provided in a very disconnected way, according to the laws of the alphabet. But the aim of the encyclopedia is really to educate the readers. So, Dante actually shows, in this sense it’s an autobiography. The poem is an autobiography; it shows the process by which he comes to know the world around him. So we are going to talk about things that have to do with politics, that have to do with questions that Dante raises all the time. What is justice in the world? How do the claims of justice go along with the realities of passions and conflicting, the collision of conflicting desires, conflicting parties and so on? But also, we’ll be talking about ethics, agency. Am I — do I know things and because I know things I’m all right, or are my problems a little bit different because my will is really weak? It’s an old idea, the weakness of the will, and if I know what I should be doing — we all know we should be just. That doesn’t really make us just, right? We have — will be a kind of frailty, a vulnerability to wanting to do things that we normally should be doing. We even know that we shouldn’t do them. We talk of — Dante raises some of these issues in a very lucid, and I think, a most probing manner possible. Then he goes on writing this poem, which is as you know, written about going into hell literally, and trying to rectify the belief that you can really get out of it and rearrange the old — your vision about the world and about yourself. Because every time you talk about ethics and every time you talk about politics, the real question is who am I and what am I doing in order to come to some kind of understanding of the world around myself. We’ll be talking about some of these issues in detail and reading in a very unassuming way without any — all the various cantos that are indicated in your — in the syllabus. Let me go to the other part, which is really probably the most concrete part. This is — I gave you the general scheme of the lectures. Let me just talk about the concrete context of Dante’s life, the contour of his life. Who is this man? How did he end up writing a poem that seven centuries or more after he wrote it, is still read, and still been thought of as one of the major contributions that a human being can make to a culture. Well he was born, as you know, probably in 1265 in a city called Florence. A city that, by the time Dante was of school age, had 70,000 people. Seven thousand — these are little details to impress you about how crucial, how important that city was; 7,000 boys and girls who go to school; public schools were available to them. Dante was one of these people. He was born in a family that was somehow — he claimed nobility and what not, but actually was an impoverished family and he was even slightly embarrassed by the activities of his own father. He never mentions him, but we do know by poems that others had written against him, attacking him and attacking his genealogy, accusing the father of loan — being involved in the loan and the kind of usury activities — activities of a usurer, lending money at a high, very high interest and so on. When he — Dante — two events happened to him, private events happened to him, when he was a child. The first is, by the time he was eight years old, his mother died. The second, a little bit connected with it, is the fact that when he was nine years old, he will tell us later, he met a young woman. He doesn’t even know what her name is, that’s the fiction of his own works, he knew because she actually was a neighbor, he calls her Beatrice. The way he goes on transferring all the love that he felt or wanted from his mother onto this young woman we don’t know, unless we were just involved in some kind of psychoanalytical speculations about his life. The facts we don’t know, however, he does talk about her as if she were a mother to him. He describes her in the poem in very maternal language and a language of great generosity; the generosity of love actually. These are the two events — then he goes to school in Florence. The school — of all his teachers he’ll have only one that he’ll really — will point out and will remember forever, a man by the name of Brunetto Latini, we’ll see him later in Hell. I like — a lot of students they all want to send their teacher to hell, but not you of course, but this was — he does. Who was this man? Why was he so important for Dante? Brunetto Latini would call him — he’s still talked about — if you happen to go to Florence and you read this kind of memorial stones that are all — are everywhere on the walls of the city, he was one of those who civilized the city of Florence. What was he doing? What did he do actually? Well he was a rhetorician first of all, in the mode of Ciceronian — the Ciceronian tradition. A rhetorician, as we say of men who believed that politics and rhetoric go hand in hand. That rhetoric is the art of persuasion within the parliament, within the streets of the city, where large decisions can be made and can be reached. This was the essential work of Brunetto Latini, Dante styles himself after Brunetto Latini. Because Brunetto Latini was not only a great teacher, he actually translated and commented works that we have by Cicero on rhetorical works of Cicero. In the belief that really the political problems are ultimately problems of speech, problems of argument. But he also was a traveler. He went to — we do know that he went to Toledo, the city of Toledo in Spain. He did bring in translations of Avveroistic texts. I will explain all these terms as we go on. Dante admires him especially because he stands for the sort of teacher who gets involved in political — the political realities of Florence. Dante wants to follow him in turn. Eventually, he would meet Beatrice again, writes a great poem inspired by her, which we’ll be looking at next time called the Vita nuova. The teacher — his teacher Brunetto Latini will die and Dante decides to enter — we are already in 1290, decides to enter political life himself. It was his biggest mistake. It was his biggest mistake because political life in Florence really meant being in the throes of harsh partisan battles between the so-called Guelfs and Ghibellines. The issues are not so clear-cut. The Guelfs supposedly are those who really believe in the loyalty to the Church. The others, the Ghibellines, also believe in the loyalty to the empire. The two institutions of the time, things are not that clear-cut as that — as sharply separable as that. We’ll talk about some of the details about this. But Dante becomes an ambassador for the city of Florence, the way Brunetto had become an ambassador for the city of Florence and he goes a little bit everywhere. He’s sent to the Pope in the year 1302; he’s sent to the Pope on an embassy and he never makes it back to Florence. Machinations had taken place so that he would be banned from the city. Not only banned from the city, his property is confiscated and there is the threat on him, that should he return and should he get caught he would actually be put to death. The year 1302 is the beginning of Dante’s new education and new experience. He goes into exile, an exile which at the time was thought to be, nothing less than the fiercest condemnation on anybody. Because we are — that’s the medieval idea, we are — the value of each and every one of us depends on the position that we occupy within the city. To be without a city, not be a holder of a place within the city, means that one is actually nothing. So he goes literally begging from one city to another. Maybe he even traveled as far as Paris, we don’t know that, but exile — though it turned out to be a harsh punishment, turned out to be also nothing less than a blessing, a blessing in disguise because it removed Dante from any sense of loyalty to partisan viewpoints. He was no longer to be a Guelf or a Ghibelline, he was no longer caught in these internecine wars, he now became nothing less than one who could occupy a transcendent viewpoint. This is what the story of the Divine Comedy is. How does one go from perceiving the world that armed oneself in this partial, provisional, fragmentary manner, how can one be pulling it together? The Divine Comedy is the story of exile being the removal of oneself from the city; in order to best see what the problems of cities can be. He ended his life in the year 1321 in a city called Ravenna where he was buried. So that’s — he — the way he wrote the poem was in exile. The poem came out of his experience of exile. He begins his life as an exile, but I think a philosophical text called The Banquet, in the tradition of — well the title of the Symposium on ethics. He abandons his project, starts a project on language trying to find a unified, a possibility of unifying all the languages of Italy, writes a political text about the necessity of unifying the world with this empire, the monarch, finishes that, but the real process of unification of all his experiences really is with the Divine Comedy. And we’ll be reading that in a couple of days. That’s all I have to say to you. Let me see if there are some questions and then I’ll try to answer those. Yes? Student: [Inaudible] for the final paper? Professor Giuseppe Mazzotta: What is the question again? Student: When is the final paper due? Professor Giuseppe Mazzotta: The final paper is due within two weeks of the end of classes. The question was when is the final paper due? Student: How important is the knowledge of the Italian language? Professor Giuseppe Mazzotta: How important is the knowledge of Italian language? The course is in English. We are reading the translation with the original text by the side. If you can read it in Italian good. If you want to write the paper in Italian you are welcome to do so, but the course is going to be — we are treating the poem as if it were an English poem. After all, as someone says, Dante’s an American poet, maybe we could explore that too. Other questions? Okay, we’ll see you on Tuesday.